With all the rain we’ve been having so far this summer in the Durham Region it’s a miracle that the date we picked for this session actually worked out! It was a beautiful, late spring evening down by Lake Ontario in Whitby. This session took place about 2 hours before sunset. Photographers call this time of day ‘golden hour’. This is when the sun is lower in the sky and the light is softer and creates such a lovely warm feel to images. It’s my favourite time of day to shoot by far. Sometimes you have to keep your little ones up a little bit past their bedtime, but I can assure you, it’s worth it for the beautiful light at this time of day. This little guy, who is just a little over a year old, rocked staying up TWO hours past his bedtime! From what I hear, he even slept in the next two days after their session. Originally Tara wanted her family session to take place in the fall. Fall is definitely very pretty with all the colours and for that reason is the busiest time of year for most photographers. A few weeks back, Tara contacted me and decided she’d like to do the session in the spring instead and I was more than happy to accomodate her request. As you can see from the photos below, spring and summer portraits are also very pretty with the fresh grass and warm golden hour light. I also find it’s easier for families to have their sessions this time of year because the sun sets so late in the day. Parents have enough time to get home from work, have dinner and head to their session. In the fall, sessions have to start right around the dinner hour so that we have enough time for the session before sunset. Spring and summer sessions usually start around 7pm and go right until the sun has set! The last 20 minutes before the sun sets is my absolute favourite 20 minutes of the session. If you would like to inquire about or book a sunset session this summer please send me an email through the contact page. What a gorgeous summer evening this was that we had at Lakeview Park in Oshawa, Durham Region. These sweet sisters had such a great time playing in the chilly waters of Lake Ontario. The cold water didn’t seem to affect them at all. This session was kept very candid; taken with more of a lifestyle session approach I guess you could say. I find children are happier and more co-operative for photos when you just let them be. I also find that the family usually loves the photos that show their children’s true personalities. Say goodbye to those forced, cheesy smiles and enjoy your family photos filled with honest emotions and the documentation of the joy of just being in the moment. These types of portraits are best displayed in a family heirloom album that can be enjoyed for many generations by your family and the future generations of your family. Motherhood Portrait Sessions now booking. We had so much fun celebrating Motherhood last year I thought we’d do it again! I believe one of the greatest gifts you can pass down to your children are portraits of them with their family members! The ‘Celebrate Motherhood’ sessions were created for that very reason. 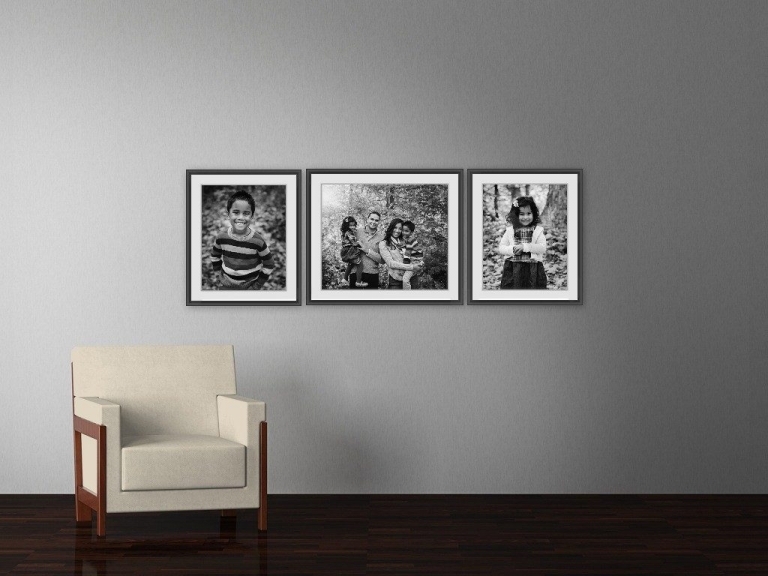 I want to provide you and your child(ren) with amazing portraits to cherish in your home and eventually hand down to your child(ren) as priceless family heirlooms. This is why I offer beautiful, tangible print products that are archival and will last for generations beyond your own. During your session we will strive to create formal portraits of you with your child(ren) as well as fun, interactive portraits of you connecting with them as you would in day to day life. 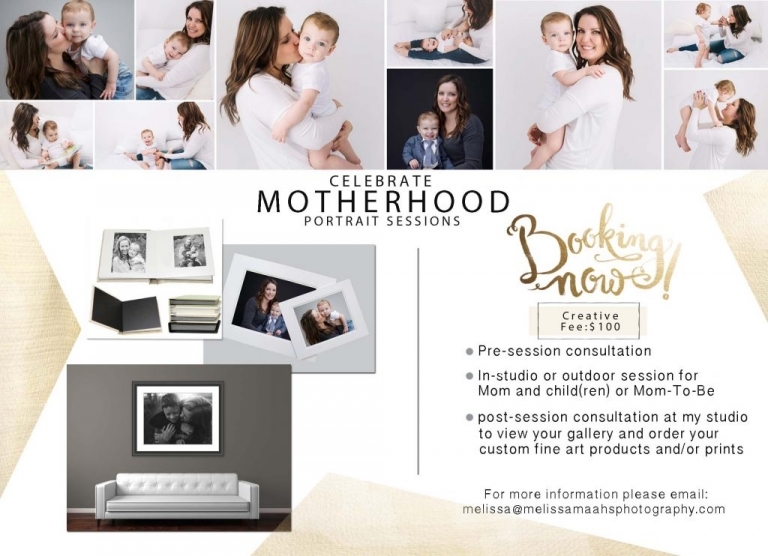 Your Motherhood session can be held in the comfort of my home studio, or at an outdoor location. I love meeting clients in person to discuss their photography needs and to show off samples of the variety of custom fine are products that I offer. If you would like to see the unique, beautiful products offered, please feel free get in touch with me and we can arrange a visit to my home studio. If you would like more information or to book a Motherhood Portrait Session please email me via the Contact page. 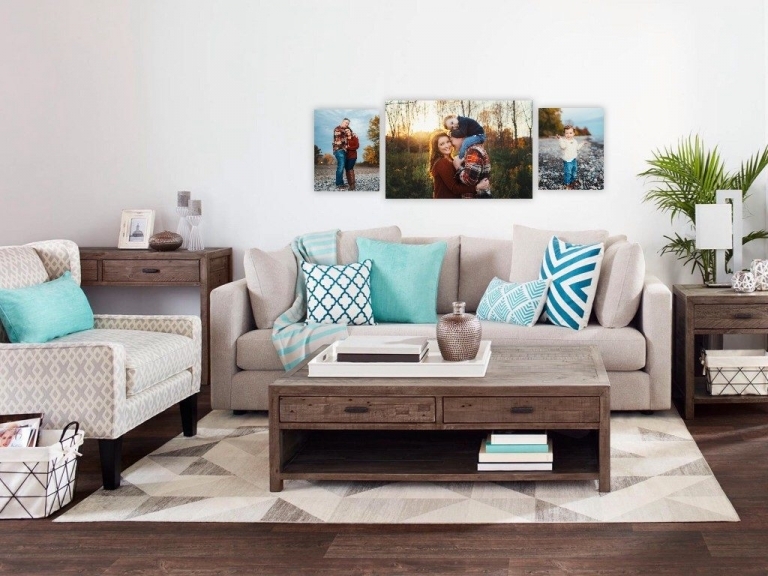 Ask me how I can help you design a beautiful wall gallery of your family for your home! Fall is hands-down my favourite season. The light is so warm and golden as it peeks through the colourful trees. Here are a few of my personal favourite photos from this fall.